Meenakshi polymers is manufacturer of crates. We offer a wide range of Dairy Crates that are available in stackable finishes. 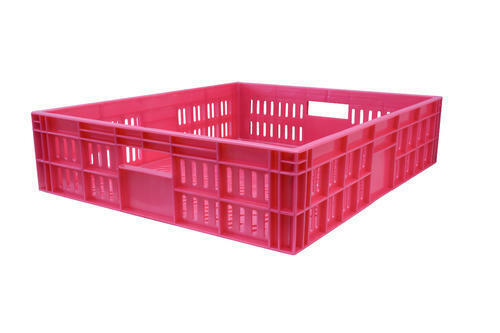 These crates are available in variety of shapes and colours as per the requirement of the customers. Our range of dairy products is manufactured using high grade plastic that provides them with better finish and durability standards. We are engaged in offering a comprehensive range of Automobile Accessories. Our wide range of product includes P.U. foam seats,metal base plates for two wheelers, seat cover for two wheelers and side box / side bag for two wheelers. Apart from these, we also offer telecom shelters, modular telecom shelters and prefabricated telecom shelters, assembled bus seat, rigid / prefabricated panel, pressure die cast products and complete seat assembly for two wheelers. Manufactured using premium quality raw material, these products finds application in Motor Cycles, Scooter, Luxury Coaches and Tractors. The products we offer are available under the brand name of M-94. We also offer OEM to the worldwide reputed company named Hero Honda. Some of our esteemed clients are General Electric Motors of India (GEMI), MINDA and Havells. Keeping in mind the varied requirements of our clients, we also customize our products on various parameters. Our strict adherence to QCD, EMS and ODP for CFC free Blending has helped us to gain a strong foothold in domestic as well as the international markets. Due to the superior quality of our products, our company has also been certified as DOL by M/s. Hero Honda Motors Ltd which is an achievement that itself reflects our quality management. Further, for the easy availability of our products, we have 200 dealers in India in the automotive components replacement market for various products such as chair cushions, assembled motorcycle seats, motorcycle side bags and various other products.